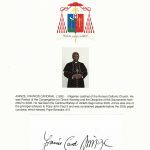 Italian cardinal; former President of the Pontifical Council for the Pastoral Care of Health Care Workers. Created a cardinal in 2013. 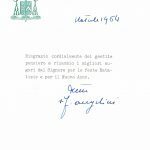 TNS – Typewritten Note Signed, 1964, on his personal imprinted biglietto. Sends Christmas greetings to a fellow prelate. Nice example. 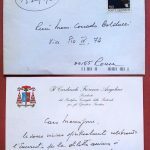 Italian cardinal; former President of the Pontifical Council for the Pastoral Care of Health Care Workers. Created a cardinal in 2013. ANS – One page, 1992, on his imprinted biglietto. 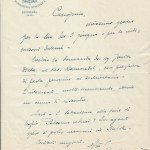 Brief friendly note to Monsignor Corrado Balducci. Comes with original mailing envelope.